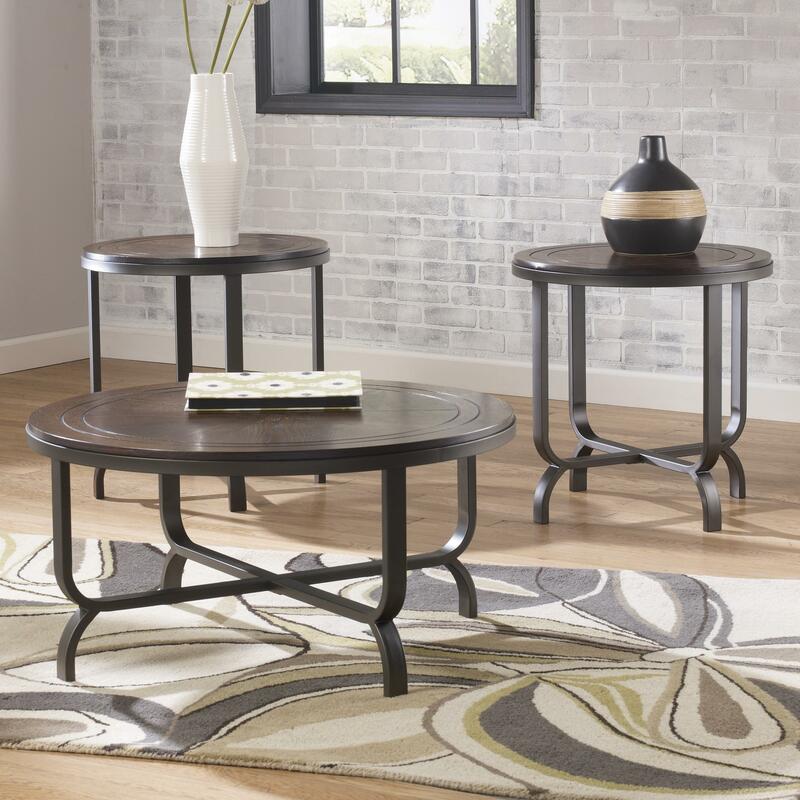 Contemporary with a rustic feel, this three-piece occasional table set projects a versatile style at home in any decor. The round cocktail table and two round tables each feature a table top made with select inlay veneers with a groove accent and finished in dark brown. The curved, crossbar design metal bases are welded tubular steel in a bronze powder coat finish. Cocktail Table: 36"W x 36"D x 18"H.
End Table: 24"W x 24"D x 24"H.
The Ferlin Wood & Steel Round Top Occasional Table Set at Rotmans in the Worcester, Boston, MA, Providence, RI, and New England area. Product availability may vary. Contact us for the most current availability on this product. Case Construction Table top made with select inlay veneers with a groove accent and finished in dark brown. Bases made from welded tubular steel.